Thanks to the abundance of home improvement and repair shows on television, the idea of purchasing and renovating an older or vacant house has become a very popular notion among today’s homeowners. Handled correctly, renovating an old residence can be a wonderful experience that results in a beautiful new home, a productive rental property, or a lucrative investment. As with any process related to real estate, however, the key is always location, location, location! With that thought in mind, here is a list of the best cities in which to purchase and renovate an available property. The original goal of this list was to find which cities would possibly be most cost-effective in which to purchase and renovate a home, but what exactly does that mean? That can mean different things to different individuals – the goals of a homeowner who is planning to live in the house are completely different from those of a homeowner who is planning to fix the house up just to sell it, or even a homeowner who is hoping to keep the property and rent it out. We made an attempt to look at each city, its homes, and its programs from every perspective to account for the needs and possible wishes of these different individuals. To take each facet in the consideration, we ranked each city in eight categories, awarding points individually…one point for the best entry in the category, two points for the second-best, and so on. When all the points were tallied, the city with the lowest total was rated as the best overall. Population – This category was important because the more residents that a city has, the greater the overall demand for nicely remodeled homes. Growth – This term referred to the “net migration” of an individual city; i.e., how many new residents that particular city gained or lost over the course of the year. This number indicates the possible upcoming trends in demand. Listings – As reported by the respected real estate site Zillow.com, this number represents the homes that are currently for sale, the homes that are in foreclosure, and the homes that are in pre-foreclosure. For our purposes, only single-family homes and town homes are included. Median home price –This category is perhaps of most interest to the majority of people, because as they seek out potential homes to purchase and renovate, they typically already have a budget in mind. It is fascinating to see the wide disparity in home prices in different areas of the country. Change –This number, expressed as a percentage, represents the change in home prices over one year. Average rent – Because some homeowners renovate a property with the intention of making it a rental, we looked at the average rent. Development Score – Compiled by the Urban Land Institute using their own proprietary criteria, this number represents the potential of a given city. Health – As determined by Zillow.com, this number takes into account a large number of factors and basically determines the “temperature” or overall strength of a city’s real estate market. There are a number of reasons why Newark, New Jersey is a desirable destination to rehab or renovate an older home. From an investment standpoint, potential buyers or renters are both more educated and more affluent than the national average – more than a third of Newark residents have college degrees in the median household income is 143% of the typical American household. It is also an ideal location for people who work or go to school in New York City, but can’t afford the big Apple’s prices, because the commute is less than half an hour. Because of the damage inflicted upon New Jersey by Superstorm Sandy, there are programs available to help homeowners repair or rebuild their homes, specifically the Reconstruction, Rehabilitation, Elevation, and Mitigation (RRTM) program. Eligible homeowners can be granted up to $150,000. For people looking to renovate homes that will serve as their primary residence, Honolulu is truly Paradise. The climate is sunny and mild, with few days above 90°F and NO days below freezing. As expected, property values are high and stable, rising more than 5% in both 2012 and 2013. 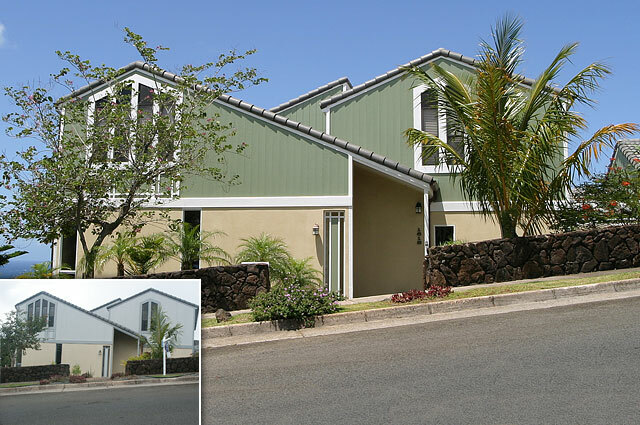 For owner-occupied residential properties, the City of Honolulu’s Rehabilitation Loan Program makes low-interest loans to those interested in repairing and improving the properties. As determined by income and family size, eligible homeowners can borrow up to $75,000 interest-free. Like Newark, Madison has great appeal for those looking to renovate properties as investments, again chiefly because of a well-educated populace with a higher-than-average income. Over 40% of the city’s citizens have college degrees, with almost a fifth of them possessing a graduate degree. A brighter workforce means lower unemployment and higher wages, which is music to a landlord’s ears. The City of Madison offers financial incentives for occupying owners who need to upgrade or rehabilitate their homes by offering deferred loans that forgo any monthly payments until the property is sold or transferred. At that time, the principal plus a one-time finance fee is charged. Sometimes billed as the “anti-Seattle,” Tacoma is a bit more mainstream than its sometimes overly-yuppie cousin. If renovating a house to use as a residence, the best areas of town are the Stadium District, Old Town, or North Tacoma. Specifically, North Tacoma is near the picturesque waterfront, while Old Town has its own unique charm because of the plethora of quaint shops, restaurants, and small businesses. If flipping the house is the goal, home values have risen by 13% in the last year. The Residential Sewer Conservation Loan is the first program of its kind in the state, and for homeowners in need of sewer repair or replacement, the loan covers up to 90% of the cost. The rate is incentivized, set at 2% below prime. Manhattan has the second-highest property values on this list, which can be intimidating to some skittish purchasers looking to be owner-occupants, but it also ranks first with the highest average monthly rent, which can be encouraging to prospective landlords. Either way, the real estate advisory website zillow.com lists Manhattan as having one of the healthiest real estate markets in the country – 9.8 out of a possible 10. Under the Homeworks Homeownership Program, small, vacant buildings owned by the city of New York undergo complete rehabilitation by qualified builders in order to create homes that can be sold to individual homebuyers at market price. Unlike many programs, there are no income limits for the buyers. Under this program the City provides partial tax abatements to the homebuyers for a six-year period. For renovators who are looking to sell soon afterwards, Salt Lake City makes a lot of sense, because the median sale price rose 22% since 2012. For owners who are looking at renting their property out, the potential renter base is attractive – low unemployment and salaries that are above the national median. Owners desiring to live here will find that Salt Lake City ranks near the top in the nation for “Best Places for Business and Careers,” according to Forbes. Salt Lake City has a number of programs designed to help homeowners renovate or rehabilitate old buildings – Building Renovation Loans, which offers low interest rates to restore buildings to their original appearance or to convert warehouse or the upper floors of commercial buildings to residences; High-Performance Building Renovation Loans, which include the conversion of the top floors of commercial buildings to residences; and Environmental Assessment and Remediation Loans, which are offered at 3% interest for the rehabilitation of properties that are environmentally contaminated. Cincinnati has the fifth-lowest overall median price on this list in the overall cost of living is below the national average, which makes homes here a particularly good buy for those who want to renovate a home and live in it. On the other hand, average rental rates are on the low side, which may dissuade prospective landlords. Renovation incentives offered by the City of Cincinnati include The Homeowner Rehabilitation Loan Program, which offers low-interest loans, The Neighborhood Market Rate Housing Program, which provides financial assistance for rehabilitated housing without income restrictions, And the Cincinnati Homeowner Infill and Rehabilitation Program (CHIRP), which provides deferred forgivable loans for the rehabilitation of single-family housing that will be offered for sale. The biggest thing that the City of Brotherly Love has going for it is its population, the fifth-biggest on this list. This translates into a large selection of available listings – 7525, which ranks sixth among these entries, and this means that it should be easier to find a property that is “just right.” The city is among the tops in the nation for education, and although the cost of living is in line with the national level, the median household income is above average. Rehabilitated housing is eligible for a 10-year tax abatement. Property owners are exempt from having to pay taxes on the value of any improvements for 10 years, and pay tax only on the old value of the property before the addition of any renovations. Prospective landlords will appreciate the high rent in Oakland, which has the sixth-highest ranking on this list, but owners will love the soaring property values! Although some buyers may be reticent at the median home price of $676,100 – third-highest on the list – purchasers who are bold will see that the prices are 23.5% higher than they were in 2013. Oakland is one of the top cities in the country for education, and consequently incomes are well above the national average. Oakland’s Neighborhood Housing Revitalization Program (NHRP) can provide monetary assistance in the form of low-interest loans up to $150,000 to homeowners whose houses are in need of renovation to correct code violation and to eliminate any hazards to health or safety. Although it doesn’t excel in any one qualifying category, Charleston produces decent numbers across the board, especially when you consider that it is one of the smaller cities on this list – migration growth, number of listings, median home price, increase in value, rental rates, and overall real estate market health. For renovators who may turn their homes into rentals, it is important to note that Charleston has a lower-than-average unemployment rate and ranks in the top echelon among national cities for job growth. Charleston’s Substantial Rehabilitation Program is available to offer financial assistance to homeowners who have major need for housing repair. Owners are only required to provide 20% of repair costs, and they may qualify for up to $80,000 in loans, repayable over a 20 to 30 year term. Greenville is a prime destination for owners who want to renovate a home for their own occupancy, because the median home price is much lower than other parts of the country. Rental rates are even lower, comparatively, so real estate investors looking to renovate potential rentals will have to pick their chosen properties carefully. The Greenville County Redevelopment Authority provides a number of resources to homeowners needing to renovate or repair their properties. Some of these programs include the Neighborhood Stabilization Program, which assists in the redevelopment of residential properties that have been abandoned or lost to foreclosure, and HUD’s funding to help with the elimination of slums and city blight. People who are hoping to find an investment property may need to look no further than Sacramento. The median home value is in the upper third of all the cities on this list, but home prices have skyrocketed 34.5% since 2013. Rental rates are also higher than in other states, but the overall cost of living is only slightly above the national average. For those considering relocating, it is important to note that the average commute is only a short 25 minutes. 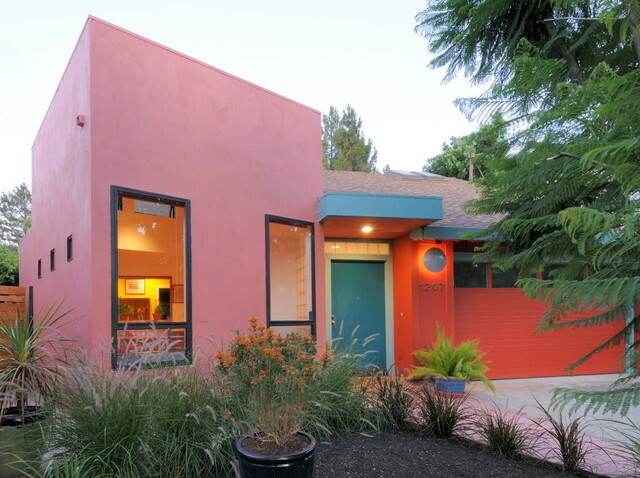 The Sacramento Housing and Redevelopment Agency offers both grant and loan programs designed to help homeowners eliminate hazards to health and safety, improve the living conditions of a home, and increase the lifespan of that home. The chief reason to purchase and renovate a home in Columbus is the price, which is among the lowest in the United States, and this put the fits in with their lower-than-average cost of living. According to Forbes, Columbus is also among the places listed as “Best Places for Business and Careers” and is ranked very highly for anticipated job growth. Although the average monthly rent is on the lower side, landlords should be able to attract quality tenants, based upon these rankings. One program that is unique to Columbus is the Citywide Roof Replacement Program, which assists eligible homeowner households with applicable repairs in homes where water is leaking or has a high probability of leaking into the interior of the home because the roof system has deteriorated or is in a state of disrepair. Although there are not a plethora of properties available right at this immediate moment, Boston’s large population leads Zillow.com to rate the city’s overall real estate market a healthy 8.3/10. Furthermore, from an investment standpoint, the 2012-2013 year over year increase in home prices of 6.7% can lead to a nice return on investment. Boston is one of the most-educated cities in the country, and the median household income is approximately 50% higher than the national average, which leads to an attractive potential renter population that is capable of managing the city’s high rent. The Citizen’s Housing and Planning Association (CHAPA) offers a grant program which gives qualified purchasers advance access to properties that have went into foreclosure. The holding banks will provide adjusted sale prices and access to properties. San Jose has the third-highest home prices of any city on this list, but that should not be as daunting as imagined, because prices rose 21.2% from 2013. According to the Urban Land Institute, the city also has the third-best Development Score in the country. Although the cost of living is almost 50% higher than the national average, the median household income is nearly double that selfsame average. San Jose ranks very highly in Education (#7), Job Growth (#19), and Best Places for Business and Careers (#32), according to Forbes, making for a populace well able to afford the high average rental rate. San Jose’s Zero Percent Interest Program provides both technical and financial help to eligible homeowners who need to make repairs/improvements to their homes, assisting with such repairs as bathroom/kitchen improvements, furnace/water heater repair or replacement, window and door replacement, painting, and many other repairs and improvements. Even though home prices are in the highest 25% of the cities on this list, Portland still scores decent numbers across the board, especially when one considers that between 2013-14, home prices increased by a double-digit percentage – 14.2%. Portland residents are well-educated and the city itself is one of the country’s “Best Places for Business and Careers,” according to Forbes, creating an attractive potential renter pool. Single-family residences located within the City of Portland that meet certain eligibility guidelines may qualify for deferred payment, 0% loans under the city’s Home Repair Program. Like most other smaller cities on this list, Omaha has the advantage of having lower-priced houses, but the overall real estate market here is also a very robust 8.3/10, according to Zillow.com. The city also ranks highly in a number of categories, as determined by Forbes, especially as a “Best Place for Business and Careers,” coming in at #25. Median income is right in line with the national average, the overall cost of living is significantly lower. For property owners wanting to renovate a home used as a rental, the city of Omaha has a Rental Rehabilitation Program that can provide financial assistance to investor owners by matching the owner’s private funds on a dollar-for-dollar basis in an effort to defray the cost associated with repairing conditions that are substandard. One chief qualifying condition is that the investor owner must agree to keep the property’s rent affordable for a period of time that is determined by the amount of the assistance. According to the Urban Land Institute, New Orleans has the #5 Development Score in the United States, probably due to the fact that it has no truly bad scores in any categories, and actually scores quite well for a city of its size. Homes in New Orleans cost considerably less than the majority of the cities on this list, and overall, the weather is quite a bit warmer than the national average, making this a good spot for an owner-occupant of the renovated property. The rental market is not quite as robust, because the typical rental is about average, while median household income here is quite a bit less than the national level. The New Orleans Redevelopment Authority has taken an innovative approach to solving the problem of urban blight. In order to rebuild the city’s neighborhoods, NORA holds twice-yearly auctions to sell highlighted properties to the highest bidder. Bidders typically can acquire properties for a fraction of their potential value, simply by committing to a redevelopment schedule containing minimum building standards. The city’s goal is to rapidly improve blighted neighborhoods. Cleveland scores very well in a number of categories, particularly home price (second-lowest) and number of available properties (eighth-most). This means an investor looking for an extremely good bargain will be sure to find one here. Homeowners looking to relocate will find that the cost of living here is just under 10% lower than the national average, while home values have increased just over 10% since 2013. The City of Cleveland’s Division of Neighborhood Services has a number of programs providing both grants and loans to help property owners renovate, repair, and conserve their properties. Programs include the Cleveland Action to Support Housing (CASH), Repair-a-Home (RAH), and the Housing Enhancement Loan Program (HELP). Chicago has a lot to offer – with nine-in-a-half million residents in the metropolitan area, it is the second-most populated area on this list, and consequently, it has the fourth-most available properties. Landlord investors will like the city’s higher-than-average rent paid by the well-educated Chicago workforce. Occupying owners appreciate will the fact that home prices have risen 8.7% in 2013. Homeowners in certain historical vintage neighborhoods may be able to take advantage of Illinois Property Tax Assessment Freezes which can reduce property tax obligations for up to 12 years. Unique to Chicago, the Sustainable Backyards Program will also provide rebates will for the purchase of trees, native plants, compost bins, and rain barrels. Under the Neighborhood Preservation Act, state tax credits are authorized for residential rehabilitation projects located within designated “distressed” communities or defined census areas. Eligible taxpayers who perform approved qualifying renovations may receive a state tax credit of up to 35% for the rehabilitation costs. The credit is good for a maximum of $25,000 per 10 year period per residence. Austin has decent scores across the board, and the attractiveness of the city was evident by the high number of people who migrated here in 2013. For investors, property values went up over 8% 2013 – 2014. Landlords will be happy that Austin has low unemployment, a well-educated workforce, and is rated #1 for Job Growth in the country, according to Forbes. The City of Austin’s Home Rehabilitation Loan Program allows homeowners to make critical repairs to their properties in order to bring them up to code, and thereby increase the safety and livability of the home. Under this program, complete rehabilitation of the home is eligible, even if reconstruction is needed – foundation repairs, plumbing and roof work, electrical, HVAC, and other major exterior and interior repairs. The monies come in the form of deferred 0% partially-forgiven loans with terms up to 20 years. The Raleigh-Durham area has very favorable scores, ranking in the top third for both number of listings and overall Development Score. Forbes thinks even more highly of the area – “Cost of Doing Business” (#29),” Job Growth” (#25), “Education” (#12) and “Best Places for Business and Careers” (#1). The North Carolina Single-Family Rehabilitation Program (SFR) assists eligible homeowners by funding interest-free, deferred loans that are forgiven at up to $3000 per year. Even more convenient, whatever local organization that provides the loan also works directly with the contractor and supervises the work. Fort Lauderdale is one of the best choices for homeowners who wish to renovate a property as an investment, because home prices went up 20.6% over 2013. This marks the third straight year of increases. Landlords will see a populace that enjoys lower-than-average unemployment and three consecutive years of job growth. Created by the state legislature more than a quarter century ago, the Florida Housing Finance Corporation (FHFC) helps eligible individuals affordably rehabilitate their homes. State, federal, and donated private funds are all made available in the form of grants and low interest loans. Much of what makes Boise attractive revolves around the wonderful fact that everything here costs less. On this list, Boise’s home prices are in the lowest third, while according to Forbes, the city is ranked #11 nationally for the “Cost of Doing Business,” with both facts attesting to Boise’s cost of living, which is 7% lower than the national average. At the same time, investors who want to renovate a home to flip enjoy the fact that home prices are 17.5% higher than last year. The city has a number of initiatives in place at the local level design to help guide and assist homeowners with revitalizing their properties, and thereby, their neighborhoods – Blueprint Boise, Build Boise, and Energize Our Neighborhoods, to name a few. The large population and prime location of Washington DC gives it two distinct advantages – a healthy influx of new residents and a strong real estate market, rated as 9.3/10 by Zillow.com. This is despite the high home prices, which nevertheless have climbed 8.1% over 2013. Residents are extremely well-educated – nearly half have college degrees, one out of five has a graduate degree, and one out of every ten works at a high-tech job. Not surprisingly, incomes here are much higher than the national average, all the better to afford the high rent that can be charged for nicely-renovated properties. The Department of Housing and Community Development (DHCD) has introduced a new pilot program that will allow first-time home purchasers to buy properties that need of defined repairs using FHA’s 203(k) loan program, as well as the Home Purchase Assistance Program (HPAP) program. Renovations that qualify include everything from structural work to plumbing to electrical work to painting, weatherization, basement finishing and other cosmetic applications. Well-qualified investors can rejoice, because despite having the highest home prices on this list, San Francisco can boast of a year-over-year increase of 21.5%, and Zillow.com gives the city a 9.3/10 real estate market score. In addition, the Urban Land Institute ranks San Francisco as #8 in the country in the Development Score category. Owner-occupants looking to relocate here will enjoy a cosmopolitan city that is ranked #4 in Education, #11 in Job Growth, and #18 “Best Places for Business and Careers,” according to Forbes. San Francisco also has the third-highest rent on this list, but prospective landlords can rest easy, because salaries here are much higher than the national average. The Mayor’s Office of Housing and Community Development promotes CalHOME, which can assist eligible homeowners to catch up to neglected maintenance, address code violations, correct safety or health issues, remediate lead hazards, or provide modifications for accessibility. The applicable interest rate is 3%, with all payments deferred until the maturation of the loan. The loan is due in 30 years or upon the sale/transfer of the home. Homeowners looking to renovate and then flip a property have the potential to realize massive profits in Miami, where home prices have risen by 21.4% since 2013. Even further, the Urban Land Institute determined that Miami has the 11th-best Development Score in the country. Overall, the cost of living in Miami is approximately 7% higher than the national average, which allows prospective landlords to justify the higher-than-elsewhere rent. The Residential Mitigation Retrofit Program helps promote retrofits, authorized inspections, and modifications/construction to structures for the purpose of increasing that structure’s ability to weather the winds created by hurricanes. Some protective features include stronger roof decks, improved shingles, hurricane clips or straps, and impact-resistant glass. As in other California cities on this list, San Diego has very high home prices, but according to Zillow.com, the market remains strong, scoring 7.4/10. Homeowners looking to sell after renovation will be happy with the 19.8% increase in home values since 2013, while those looking to use the renovated property as a rental will appreciate that the city has had three straight years of job growth and salaries higher than the national average. This is especially important in San Diego, where the average monthly rent is among the highest in the country. The Redevelopment Agency of San Diego created the Home in the Heights Homebuyer Assistance Program, which can provide qualifying homeowners with a silent second mortgage up to $30,000, with these funds being earmarked for the development/rehabilitation of properties in need. If participants continuously remain the owners/occupants of the properties over a 20-year period, both the principal and the interest may be forgivable. The Tampa/St. Petersburg area should be an area of desirable focus for anyone looking for affordable renovation property, primarily because of the large number of homes that are available at very attractive prices. With over 6000 properties potentially on the market, buyers are sure to find a property that meets their investment/residential goals. Median household income here is below the national average, and the rents are in the lowest third. The Community Development Block Grant Program provides funding in the form of loans and grants to eligible homeowners in defined areas, with the purpose of property rehabilitation to acceptable code compliance. Loan terms can be between 20 and 40 years, with interest rates between zero and four percent, and in some cases, the loans can be deferred until maturity. Brooklyn has the highest net migration of residents on this list by far, over 26,000, and this means that the borough has an extremely strong real estate market, 9.4/10, according to the rankings of Zillow.com, good enough for third-best among these entries. Although property prices have only increased by a modest 4.7%, the extremely high value of these properties can still mean significant profits to savvy homeowners/renovators. The attractiveness of this area is further evidenced by the findings of the Urban Land Institute, which has determined that Brooklyn has the sixth-highest Development Score in the country. The New York City Department of Housing Preservation & Development created the Home Improvement Program (HIP) in cooperation with local private credit unions and banks, with the goal of providing loans to assist small homeowners in the improvement of their properties. Through the HIP program, loans of up to $30,000 can be made, with low interest rates subsidized by grants from the City. Orlando has three chief advantages – a very high net migration – over 8000, relatively low home prices, and very high price increases over the last year of nearly 20%. This bodes especially well for those who want to either be owner-occupants or who wish to purchase a home for a good price, renovate it, and quickly sell it for a profit. Incomes are lower than the national average, and this is reflected in the mid-range rental rates, but prospective landlords can find encouragement in the fact that the city has realized three consecutive years of job growth. To respond to increasing rates of residential foreclosures and abandonment, the Housing and Economic Recovery Act of 2008 created the Neighborhood Stabilization Program (NSP). The City of Orlando uses funds from this program to buy, and offer for sale foreclosed properties at very affordable prices to eligible applicants. Louisville has the fourth-lowest home prices on this list, along with the lowest rental rates. The Urban Land Institute has determined that Louisville has the #11 Development Score in the country. The low rent is attributed to lower-than-average local incomes, but this is offset by the lower overall cost of living. Potential landlords should not be dissuaded, because although rent is low, Louisville has enjoyed three straight years of job growth. The modest home prices and low cost-of-living makes this a prime destination for home buyers looking for inexpensive properties to purchase, renovate, and occupy. The state of Kentucky uses funds from the HOME Investment Partnerships to provide low-interest loans that homeowners can use to rehabilitate dilapidated homes. These loans are available in amounts up to $60,000 for needed repairs. Jacksonville has the second-highest number of available properties, and values have risen 25.7% over the last year, creating a veritable smorgasbord of choices for interested buyers looking for properties to renovate and either sell quickly or occupy. Rental rates are on the low side, but this is offset by stability, because Jacksonville has seen job growth in consecutive years. The City of Jacksonville offers qualified homeowners assistance with funding through the Limited Repair Program, which provides deferred payment loans to address needed repairs that, if not taken care of, could endanger the safety and/or health of the occupants. Seattle has the #4 Development Score and the #8 real estate market in the country, according to the Urban Land Institute and Zillow.com, respectively. Well-qualified buyers will note that although home prices are quite high in Seattle, home values have risen in the double digits – 14.2% – over the last year. Prospective landlords can take heart in the fact that they are able to charge rents that are above the national average because Seattle residents are well-educated with high salaries. The City of Seattle’s Office of Housing offers the Home Repair Loan Program which provides loans between zero and three percent to eligible homeowners. Structural issues and deficiencies that threaten the health or safety are given priority, but almost any needed repair can be addressed, such as flooring, plumbing, roofs, lead abatement, electrical or water line replacement, furnace repair, and a host of other common needs. Kansas City has a large number of available properties, low-priced houses, and two straight years of improving property values, so buyers looking for homes to renovate have good reason to be optimistic. Owner-occupants looking to move here can be encouraged that Forbes has rated Kansas City as a #36 city in the country among the Best Places for Business and Careers. The City of Kansas City’s Targeted Minor Home Repair Program can offer assistance to homeowners who have properties in defined targeted areas. Eligible repairs include plumbing, electrical systems, furnaces, and roofing. The Urban Land Institute rates the Twin Cities as having the #10 Development Score in the United States, and homebuyers looking to occupy or flip will like the two consecutive years of double-digit increases in property values. Rental rates are also above average, and homeowners who want to renovate rental properties should be emboldened by the fact that the city has seen three consecutive years of job growth, resulting in incomes that are considerably higher than the national average. The Targeted Home Rehabilitation Program is designed to offer interest-free home improvement loans up to $20,000 to owners will residing in areas that have been determined to have been highly impacted by foreclosures. Loan repayments are deferred until the home is sold/transferred, or until it is no longer the primary residence of the owner. San Antonio has almost 4000 reasonably-priced available properties, and property values have steadily, if not spectacularly, increased for four consecutive years. For buyers who want to move here and for prospective landlords, it is also encouraging that Forbes ranks San Antonio as #8 for Job Growth and #16 for Best Places for Business and Careers in the country. REnewSA is the city’s collaborative initiative that has six stated goals – to REinvest in neighborhoods, REhabilitate homes, REmove blighted structures, REvitalize commercial zones, REstore historic buildings, and REgreen by using sustainable designs. The effort is truly collaborative, because it combines federal, state, city, and private sector funds to make incentivized loans and grants to eligible homeowners to meet those goals. Good net migration, a generous selection of available properties, affordable home prices, and double-digit price increases all combine to make Charlotte a very good choice for buyers/investors. Those looking to sell their renovated properties will like four straight years of price increases, while homeowners looking to renovate rental properties will in turn like three straight years of job growth. Unique to North Carolina is the Duke Home Energy Loan Pool, which offers assistance to customers of Duke Energy who live in certain prescribed areas. Using funds from a variety of sources, each qualifying home is thoroughly rehabilitated, with a focus on making the property much more energy-efficient. The awarded loan is awarded in conjunction with other like loans to rehabilitate the entire home until it is brought into full compliance with local codes. Program loans are free from interest and are forgiven at the rate of $1000 per year. Los Angeles has the largest metro population of any city on this list, and that brings with it several inherent advantages. LA has the third-most available properties, and both the Urban Land Institute and Zillow.com rate the city among the top locations in the nation for the overall Development Score and the strength of the local real estate market. Property values in Los Angeles are in the highest echelon, and values are still climbing, up more than 24% over the last year. Landlord owners will appreciate that Los Angeles has the fourth-highest rental rates on this list. One type of cost-effective renovation unique to Los Angeles is the Residential Sound Insulation Program (RSIP), which is available free of charge for residents who live within designated high-noise areas. Homes within these areas are offered no-cost noise-insulating improvements such as wall modifications, improved ventilation and air-conditioning systems, upgrades to electrical panels, dampening attic insulation, and sound-rated doors and windows. Denver earned its Top 10 ranking on this list because it has attracted a large net migration, realized home price increases of over 11% during the past year, has the seventh-best Development Score and fourth-best real estate market strength on this list. Homeowners looking to occupy or sell their home will like the price increases on top of the high home prices, and landlords will be pleased with the influx attributed to the migration, because Denver has a monthly rental rate that is well above the national average. Homeowners needing to renovate properties that have deficiencies significant enough to cause building code violations can apply for assistance through the Denver Urban Renewal Authority. Although qualified applicants can receive loans that have little to no charged interest with deferred-until-sold payments, the assistance goes beyond mere funding. DURA has its own pool of approved and qualified contractors who meet stringent criteria and have already been vetted, and all work is monitored by their own rehabilitation specialist. Nashville is an attractive destination for a number of reasons – a large pool of available properties, home prices that are affordable yet increasing in value, a healthy real estate market, and a Top 10 Development Score. For prospective landlords, Nashville residents can boast of four consecutive years of job growth, and for homeowners looking to live here, Forbes rates the city as #7 for Job Growth and #10 for Best Places for Business and Careers. The number-one resource in Nashville for all state-and federally-funded home improvement and rehabilitation programs is the Metropolitan Development and Housing Agency. The MDHA offers a number of Community Planning and Development programs, many of which can help allay, reduce, or deferred large portions of the costs associated with renovating older homes. For those are looking for distressed properties that can be had for next to nothing, look no further than Detroit. No other city can offer so many thousands of properties for so little, and investors who are thinking long-term can put themselves in very profitable positions. Patient buyers who are looking to occupy or sell down the road can find any type of home imaginable, at every level of need for renovation. After years of disastrous declines, property values are looking up, having posted strong double-digit increases each of the past two years. The biggest drawback is the turnaround hasn’t happened quite yet…Zillow.com gives the Detroit real estate market and anemic .7/10 rating. The “Neighbors Wanted” program overseen by Building Detroit is auctioning off distressed properties at monumental savings, albeit with a commitment from the purchasers to immediately begin property rehabilitation or face forfeiture of funds. With nearly 8000 available properties, very low home prices, and property value gains three of the last four years, Indianapolis is another prime location for buyers who wish to renovate homes for either profit or occupancy. Landlords may lament slightly about the low rates charged in Indianapolis, but that consternation is tempered by a stable workforce that has seen job growth for the past three years. Income is right in line with the national average, but the cost-of-living is almost 7% less. The Indy Land Bank’s program, Renew Indianapolis, returns vacant or abandoned properties to productive use by making them available for sale as homesteads suitable for rehab and occupancy. Some of these properties may be through a surplus sale, foreclosure or bankruptcy, or from a tax sale, but qualified purchasers can realize substantial savings. Low home prices that are nevertheless gaining in value, a low cost of living, a high Development Score, and a healthy real estate market all helped propel Pittsburgh to its high position within these rankings. Overall, rental rates are rather low, but the job market here has been current years, creating a relatively stable class of potential renters. Home purchasers who decide to call Pittsburgh home will live in a city that has above-average ratings several categories rated by Forbes – #44 in Best Places for Business and Careers, #64 in Job Growth, and #79 in Education. The Pittsburgh Home Rehabilitation Program Plus(PHRP) can assist eligible homeowners with necessary home improvements by providing $25,000, 0% interest loans with 20 year terms, along with an Energy Efficiency Loan containing a grant of up to $2500. Surprising to some, Oklahoma City scores very strongly across the board. Home prices are very affordable, and have increased in value three out of the last four years, job growth has been steady the last two years, and unemployment is lower than the national average. The urban land Institute gives OKC the 11th-best Development Score in the country, and Zillow.com rates the local real estate market an encouraging 6.8/10. Potential landlords should be very encouraged at the possible renter pool, based upon Forbes ratings – #7 among Best Places for Business and Careers, #21 in Job Growth, and #34 in Cost of Doing Business. Oklahoma City’s Strong Neighborhood Initiative offers a number of programs designed to help homeowners of distressed, dilapidated, or disenfranchised properties improve and renovate their properties, including – The Owner-Occupied Housing Rehabilitation Program, which focuses on structural safety, exterior maintenance, and energy efficiency; The Code Compliance Assistance Program, which helps remove debris and junk from older properties; and the Neighborwoods Tree Program, which focuses on trimming/removing dangerous trees from residential areas. Phoenix performs exceptionally strong in four important areas – a net migration of nearly 9500 residents, the total number of listings, affordability/home prices, and most tellingly, increase in value. Each of the last two years, home prices have went up approximately 25% per year. Obviously, this is extremely good news for owner-occupants and for those who want to renovate and then flip properties. The rental market is merely average, because although the average income and cost of living is right in line with the national levels, the typical rental rate in Phoenix is quite a bit less. The City of Phoenix created the Exterior Rehabilitation Program in order to both assist owners of designated “historic” homes in their efforts to properly restore or rehabilitate their property and to strongly promote reinvestment opportunities within the historic neighborhoods of Phoenix. Funding is available for use by private property to undertake proper exterior renovations. In return for providing the City of Phoenix with a conservation easement, homeowners can receive a dollar-for-dollar grant matching their contributions for up to $10,000 per project. Dallas is ranked so highly in so many categories, that a case could be made for it being #1. As with other cities, the size of the population creates certain advantages – almost 10,000 new residents through net migration, almost 7000 total listings, and very affordable home prices, especially for a metropolitan area of nearly 7,000,000 residents. Homes have increased in value each of the last three years, reaching 10.2% over the last year. Income, cost of living, and average rental rates are all at or near middle values, but landlords can rent to a populace that has experienced slow and steady job growth for the last four years. Offering quite a bit more guidance than the programs from other cities, the city of Dallas’ Major Systems Repair Program (MSRP) gives homeowners an approved list of certified contractors in the area that can meet benchmark standards to do repair work using federal money. This service takes all of the guesswork and uncertainty out of the renovation process. Although home prices in Atlanta are relatively modest, there is no city on this list with a higher increase in value. Over the last year, prices boomed by 36.3%. This was the second straight year of price increases, although the prior year was a much more modest 2.6%. For prospective landlords, Atlanta residents are well-educated, and the city has enjoyed three straight years of solid job growth. For owners looking to relocate, Forbes ranks Atlanta as the #14 Best Place for Business and Careers. Homeowners that meet certain qualifications may qualify for a grant under the Limited Repairs Program, which provides up to $7500 in funds via a forgivable grant for eligible non-cosmetic/beautification rehabilitation projects. According to the Urban Land Institute, the city of Houston has the highest Development Score in the country. In addition, Houston has the fourth-largest metropolitan population and the second-highest net migration numbers, resulting in over 6800 listings. Home prices in Houston are very affordable, and have steadily risen for the past four consecutive years. The current year-over-year increase is right at 10%. Houston ranks #4 in the nation for job growth, showing steady upward movement for the past three years, while income, cost of living, and salaries are all within the range of the national average. The City of Houston’s Single-Family Home Repair Program offers up to $30,000 in the form of a deferred repayment loan that may be used to correct outdated maintenance tasks such as foundation repair, painting, roof replacement, drywall repair, and any other maintenance/home improvement task that affects the overall structure or livability of the property. Click here for a high resolution version of the award badge in this article. Albert Fontenot has been directly involved with home improvement sales and sales management for over fifteen years, managing offices in Oklahoma, Texas, and Arkansas for a nationwide company. He has won awards in the industry and made recommendations to literally thousands of customers.